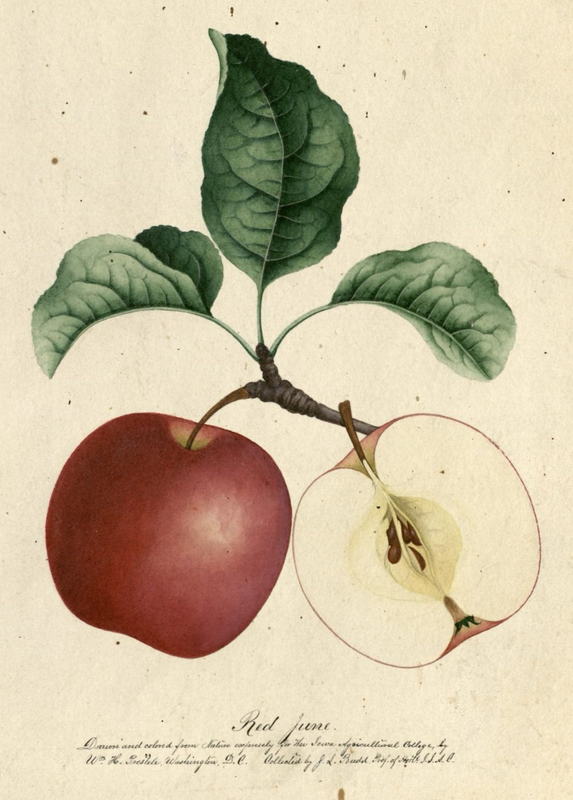 In the late 1800s, Professor Joseph L. Budd commissioned renowned botanical artist Wilhelm H. Prestele to illustrate from nature several apple varieties. Special Collections and University Archives holds 8 of these in its collection of 58 of Prestele’s lithographs (MS 70). These beautiful and finely detailed works were created during Prestele’s tenure as the first artist in the Pomological Division of the United States Department of Agriculture. 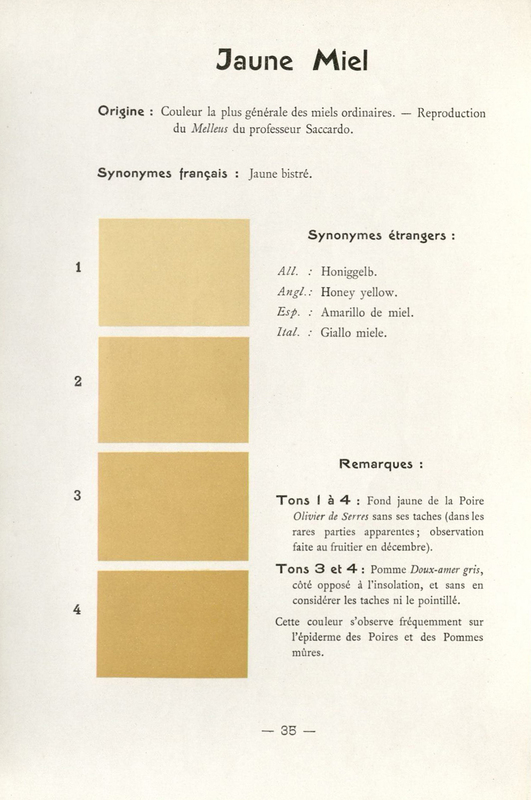 Should you wish to try your hand at botanical illustration, we also have a copy of Répertoire de couleurs pour aider à la détermination des couleurs des fleurs, des feuillages et des fruits which offers guidance on the colors found in flowers, foliage, and fruit such as apples. 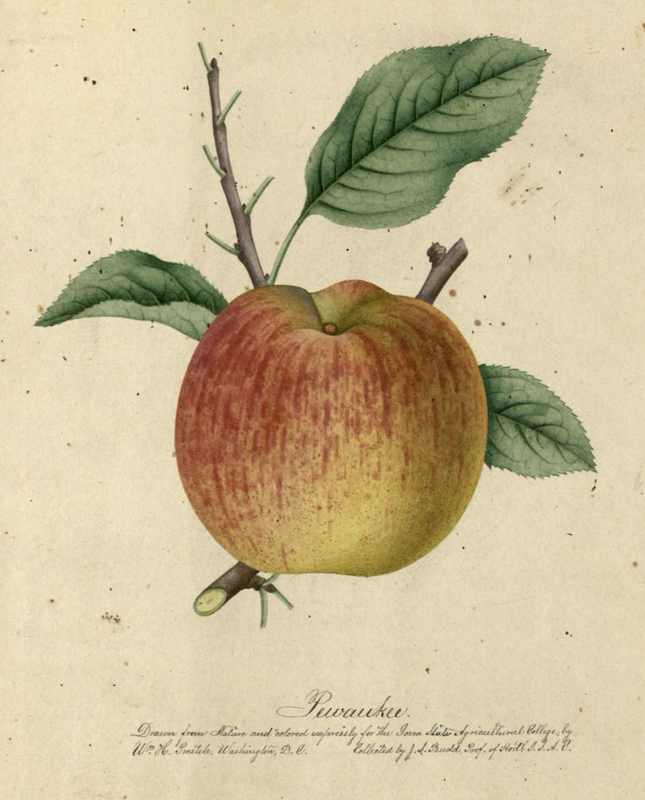 This entry was posted in Manuscript Collections, Rare Books and tagged apples, horticulture, illustrations, pomology. Bookmark the permalink. Wilhelm Heinrich (William Henry) Prestele Prints, MS 70, Special Collections and University Archives Department, Iowa State University Library. Thanks much for checking with us!